There are 6 different gowns for ladies and girls, each ready to stitch in 7 sizes, plus the 18" doll size. 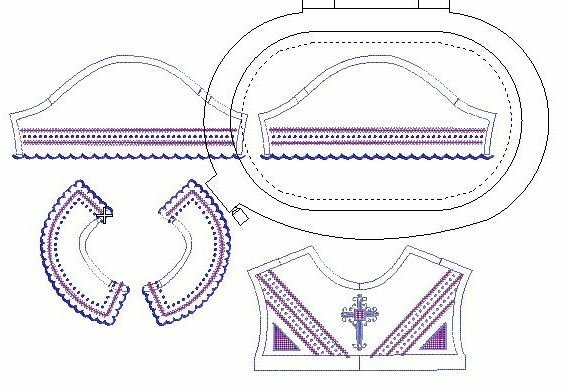 Each strap and yoke on the girls' and ladies' garments stitch in the hoop with the embellishments perfectly placed inside the pattern lines, ready to cut out and sew together. 6 matching edging designs are included, as well as pockets in the hoop in 3 sizes. 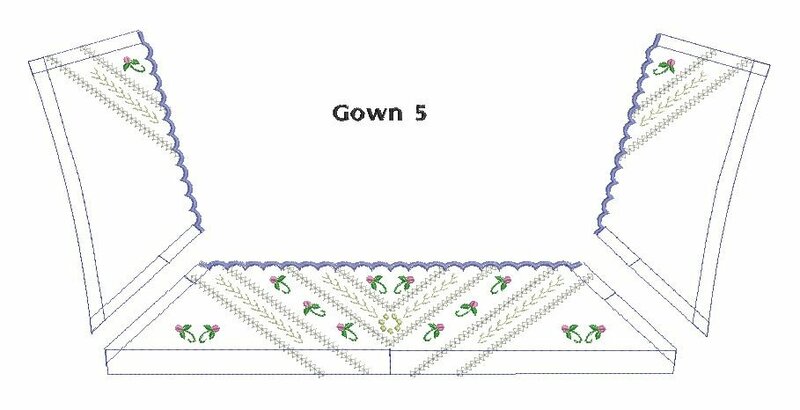 Pattern is included for body of the gown. Little girls will enjoy these as sundresses and playsuits as well as nightgowns, with matching outfits for their dolls! 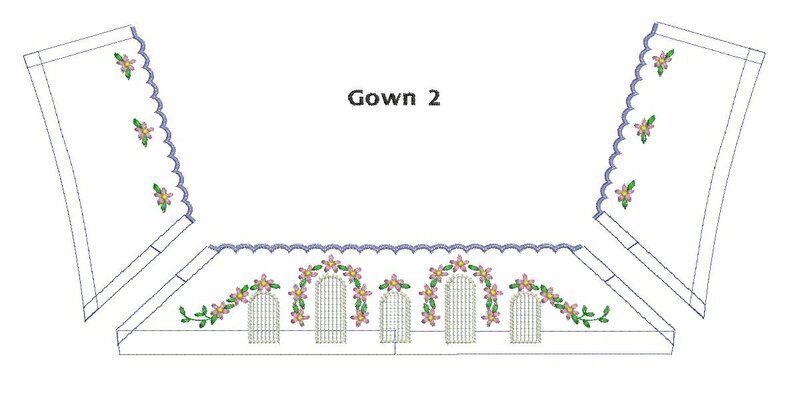 A spiral bound instruction book gives very detailed instructions for each embroidery step. Gowns in ladies and girls sizes require a 6" x 9" hoop. Doll gowns may be stitched in a 5" x 7" hoop.